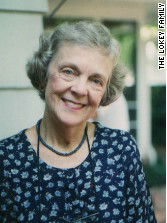 Lokey helped galvanize Georgia's opposition and hosted the first meeting of Help Our Public Schools Inc., known as HOPE, in December 1958. The group stated its purpose was "to give factual information to those citizens of Georgia who want to keep our public education from being destroyed by the closing of public schools." HOPE did not declare a position on segregation, or on state's rights versus federal rights, or on the Supreme Court's landmark decision. "From the beginning we felt that our best strategy would be to stress the one issue of preserving public schools. And to maintain a neutral position in arguments over integration," Lokey said. "I do think that those of us who worked the hardest were very much concerned about the integration issue," Lokey also acknowledged. Through grass-roots efforts, Lokey and HOPE began to galvanize opposition to segregation across the state, and the group even made national news. An Associated Press photograph of Muriel Lokey and HOPE President Fran Breeden planting bumper stickers that declared "We WANT public schools" was plastered all over national newspapers: a 1950s way of going viral. HOPE itself was not integrated, causing internal strife and costing the group at least one key member. Lokey explained that HOPE's exclusion of blacks was pragmatic, not racist. "We chose not to be a biracial organization but rather to be white people persuading white people. It was seen as a tactical necessity." Founding member Nan Pendergrast knew that an integrated group couldn't crack Atlanta's business community. "My particular job was talking to the Kiwanis and the Rotarians and the Civitans who at that time would never have allowed a black person in their door and probably not allowed anybody who was known to consort with those people," Pendergrast told a historian. In January 1960, HOPE presented to the Georgia Legislature a statewide petition with 10,000 names of people who wanted to keep Georgia’s public schools open. The group pasted all the names together on one roll and took it to the third floor of the state Capitol building and unfurled it over the railing until it reached the first floor. "And of course we had all the press and everything taking pictures of it," said HOPE member Frances Pauley years later. By January 1961, the statewide support for HOPE eventually caused Gov. Ernest Vandiver, who once famously said “no, not one” black student would integrate a Georgia school under his administration, to ask the state legislature to adopt a new bill allowing for some integration in Georgia. 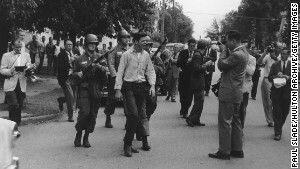 Atlanta hoped to avoid scenes like this one from Little Rock, Arkansas, where federal troops enforced integration after violent acts rocked the city. Now that integration was a forgone conclusion bound by law, HOPE began to work with the Organizations Assisting Schools in September, or OASIS, a group of black and white leaders that would define how the city schools would integrate. All sides were in agreement about one thing: The racial violence over integrated schools in cities like Little Rock, Arkansas, had no place in Atlanta. For one thing, the Atlanta business community would not support a policy that could harm the city's growing economy and its reputation. Atlanta schools screened 132 students from black high schools for possible integration at white high schools. The district selected 10. 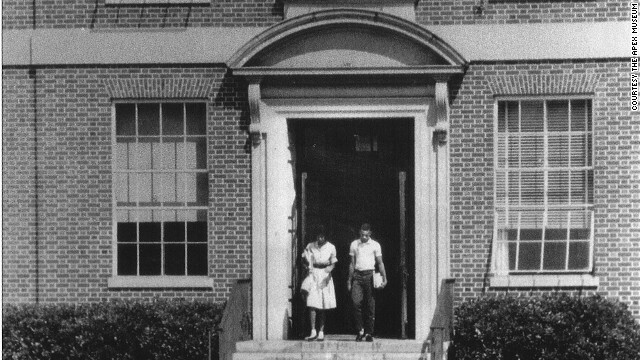 On Wednesday, August 30, 1961, 15 minutes after schools opened citywide, nine black students – Thomas Welch, Madelyn Nix, Willie Jean Black, Donita Gaines, Arthur Simmons, Lawrence Jefferson, Mary James McMullen, Martha Ann Holmes and Rosalyn Walton - integrated four Atlanta public high schools. The 10th student, Damaris Allen, elected to attend Spelman College instead. Other Southern cities had experienced massive protests and violence while integrating schools. On this historic day in Atlanta, five arrests were the extent of the unrest on the city’s streets, as reported by the daily papers. 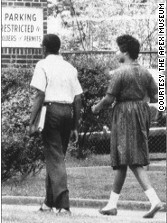 August 30, 1961: Thomas Welch and Madelyn Nix are the first African-Americans to attend Atlanta's Brown High School. Welch, who integrated Atlanta's Joe Brown High School, said the scene was quiet; he and Nix were escorted by police and arrived after all the other students were in class. "That was deliberate on the part of Atlanta Public Schools." He did see a few protesters, but police kept them at bay. Once inside Brown, reactions varied. "Some students were welcoming, other students were openly hostile, but for the most part the students acted like students," Welch said. Jim Martin (no relation to the author), junior class president at Northside High School when it was integrated, said Simmons, Black and Gaines probably had similar experiences at Northside. "The black students weren't treated badly, but they weren't embraced and they didn't demand that. 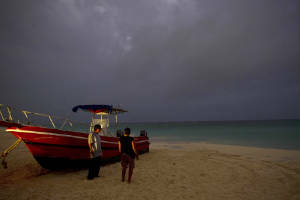 They were just going to school," Martin said. Martin said that at Northside, Principal Weddington Kelley's attitude made all the difference. "He was bound and determined that Northside wasn't going to look bad." At Brown, Welch found that teachers had various attitudes toward his presence. "Some teachers were very standoffish, while other teachers were actively making sure we were treated as equals," Welch said. "There were some incidents, both my first and second year there," Welch said. Welch's mother occasionally received hostile phone calls late at night, sometimes even death threats. It didn't deter the family. Welch recalled that in one class, the teacher would have the students move as far away from Welch no matter where he sat. "If I sat in the front, they moved to the back. If I sat in the middle, they moved away around me ... there were one or two students who tried to, and did, resist that." In another classroom, the students started to pull the same prank. The teacher scolded them, “Are you crazy? You're not doing that in here!" and forced the students to move back in rows. Welch said teachers at his original school, Booker T. Washington High School, were as motivated and intelligent as his new teachers at Joe Brown. "Booker T. had an excellent reputation,” Welch said. But there was an ROTC program at Joe Brown, and there wasn't one at Washington, so Welch filled out the transfer forms. In ROTC, Welch eventually became a squad leader and won the respect of his peers. Most of them, anyway. Once, while waiting in line during a drill, a white student spit on Welch and yelled, "I spit on the n*****!" Two student officers grabbed the other student, took him into a nearby room with the U.S. army sergeant in charge and yelled at him. "I couldn't hear what they said. The sergeant came out and said, 'He won't bother you again,' and this kid never came near me ever again," Welch said. Welch said he understands why Atlanta undertook only token integration at first: Little Rock was still on everyone's mind. "It was very deliberate on the part of the political and business establishment to minimize any kinds of disruptions. As I think back on it, even though it was gradual, it was probably the best way to do it without creating the negative uproar that would have been very difficult to control," Welch said. Martin, the white Northside alumnus, agreed. "A lot of the violence [elsewhere] occurred because good people allowed that to happen. In Atlanta they weren't going to let the demagogues and hate take over," he said. With the peaceful integration of the four high schools, HOPE's goals were obtained. No one was threatening to shut down public schools anymore, and HOPE folded in 1961. In the decades since Welch and the others of the "Atlanta nine" integrated the city's high schools, "white flight" has taken over much of Atlanta. Neighborhoods have shifted, some have integrated and some completely turned over. "I've been told now you'd be lucky to find two white students at Brown," Welch said. 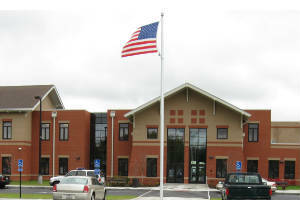 The four high schools are still around; Brown is now a middle school. Around 85% of Atlanta's current students are black, and around 3/4 of the city's students are eligible for reduced-price or free meals. Decades later, the local public school Lokey fought so hard to keep open for her children is also still around. Her Buckhead neighborhood's demographics haven't changed much. Around 86% of Morris Brandon Elementary students are white and only 7% of its students are eligible for reduced-price or free meals. Martin, who ran for several statewide offices in the 2000s, said segregation in Georgia has evolved. "What you do see is not racial segregation, but real economic segregation even among people of the same race. The economic segregation is almost as startling as the racial division," Martin said. In 1961, nine students enrolled in four white high schools in Atlanta, Georgia. And the city didn't burn. we, also, hope the racist fools are just a very loud and obnoxious minority. We're all just people here together on this Earth. Remembering the turmoil of those times, the article and comments remind to strive for the reasonable true path. Muriel Lokey was my mother, and a wonderful woman in more ways than this, but this is how she stands out in the memory of the Atlanta community. One person at a time, one task at a time, joining with others in commitment and courage, and the world slowly, slowly can be changed. I am rightly proud of her works, of course, but more than anything else for me, it was her love that she gave all along, right up to the end, that matters most for me. The whites don't own the United States. They came here bringing slaves. It was not morally right. They didn't allow the slaves to read, write, be independent, etc. This continued for years. Whose fault is that? Not allowing black children to succeed in schools? And that leads to what white people are doing to them now. Its not the black kids. It's the white kids. Hope to see more articles like this! Thanks! I grew up in Atlanta in Buckhead. I went to Morris Brandon from 1960 – 65. I went to Northside High School from 65 – 70. I lived through this history. I remember when black students arrived at our school. I remember when our teachers were changed to black schools and vice versa. Through the changes I made life long friends with a young black woman. We traveled together in a group led by our French teacher, and she and I attended the same college after we graduated. She has remained a life long friend. I was so happy to pick up the phone a few days ago when she called to tell me how sorry she was that I had lost my mother. Her mother and my mother were also lifelong friends. That call lifted me up. What a great legacy Muriel Lokey left to me, her daughter. Thank you for an enlightening article. These stories are sometimes hard to find and they are quite powerful in how they help us move forward. I also had an enjoyable time reading some of the idiotic comments, especially from those of you who simply think everything that ills us is because of integration or multiculturalism. In a big way, you helped create the "problem" we have today because your policies underinvested in every part of society except your own over many decades and you now complain about people in the "underclass". You helped create it.... Smart people know that. If you choose to stay ignorant, good luck to you. I hope more complex thinking will prevail. I am a current parent at North Atlanta High (formerly Northside High) and both my children attended Morris Brandon Elementary. Brandon is not a diverse school today, but that is primarliy because it is overcapacity with students who live within the attendance zone, and the zone happens to encompass some of the most affluent and least integrated neighborhoods in the city. However, the schools Morris Brandon feeds into, Sutton Middle School and North Atlanta High School, are a fitting tribute to your Great-Aunt Muriel. Both schools are among the most diverse in the city, serving students of every possible race, language, religion, ability and socioeconomic level. They're not perfect (no school is), but these schools teach our kids that people are interesting and valuable no matter what they look like or where they come from. What's more, the schools and communities do everything they can to support and encourage every child to succeed. There are some terrible, hateful things going on at the Board of Education and Central Office level right now, but for 15 years we in the North Atlanta cluster have believed and lived what the Lokeys did: that diversity is our strength. I recall reading somewhere that these schools are not doing well today. What has happned is that white parents AND affluent black parents (such as Obama) have abandoned these public schools and are sending their kids to private schools. The once great US public high schools are becoming empty holding shells while the kids going to the expensive private schools are getting a better education and the opportunities to go to the better colleges. Who said President Obama abandoned public schools? Their kids go to the same school that other presdents have sent their kids to for obvious security reasons. Think Romny would do anything different? President Carter, a Democrat, sent his daughter, Amy, to public schools in DC when he was president. I grew up in an integrated school district in Atlanta in the 1980s. I was taught through example that all kids should be treated with the same respect. After the 4th grade, my parents moved to another southern state, and the school I attended was lily white. Even at age 10, I knew something was wrong with my new school, that it didn't reflect the (alibeit limited) diversity of the new city. MLK day was just some holiday, not a chance to celebrate one of the greatest people of the 20th century in my town. I heard racist words and jokes that were simply disguisting in my new community. My best friend in the 3rd grade was African-American, and I never thought anything about it. Now people in my new community were telling me ignorant insults degrading any non-white culture or people that didn't look like them. I was lucky to experience a school in Atlanta that reflected the diversity of the entire community. Thank you to those who pioneered racial integration in Atlanta schools in the 1960s. You taught me the importance of diversity, that a person is built by their character, not by their appearance. It helped shape the rest of my life. No child left behinnd is being quietly abandoned as it becomes evident that a map of failing schools will be an exact replica of a map of african american schools. Allof the cheating scandals have been in african american districts. This trend can not be explained by poverty. You're joking right? You can't really be serious! You do not want black kids to attend your schools but you would not mind if we played sports for you right. you are an idiot.. Its not black/white/asian etc.. you have good and bad in all cultures & races.. get a life. you are an internet troll!!!!!!! great thing about the US and what makes us strong as a whole is we have a vast diffenence among people which contribute to society. Daniella is correct. The price that white kids pay is way too high. Lowered expectations hurt all the kids. That's it Jerry. Blame the black kids. It's always their fault. Not those in power, but the children. I applaud your illogical thinking. It is not the kids, it is the culture. My mom is Mary James McMullen. Her story was similar to others with the exception to the kids that integrated the schools with less well-to-do whites. Those kids had a much harder time. Anyway, I'm proud of her. She doesn't talk about it much. She's not one for publicity or folks making a big deal out of things. That's one thing about Atlanta that's still holds true, the business community runs this city. The only color that matters is green. From a native Atlantan who has never heard this story, please tell your mother "THANK YOU!" for me. She is a hero! I remember when they integrated school here in maryland. I never understood what all the fuzz was about anyway. I have been in school with black children since 7th grade. Loved this article, very powerful! We don't want integeration in Illinois. We like our schools white, in our white neighborhood. Blacks would only bring our schools down. You racist look at all of the great black schools in chicago and throughout the world. Just kidding you're 100% correct we're sending pitbulls to school with labradors. Why, so that it doesn't detract from the *AHEM* wonderful spelling skills that you learn in Illinois schools?? Multiculturalism is a colossal fraud. No, it only seems that way when you are socially handicapped.